China's factories hit an unexpected speed bump in July, hiking concerns about slower growth in the world's second-largest economy. The government's official purchasing managers' index hit 50.0 in July, according to the National Bureau of Statistics, down from 50.2 the previous month. Any number below 50 represents a deceleration in the manufacturing sector. A separate survey conducted by Chinese media group Caixin and Markit showed manufacturing PMI dropped to 47.8 in July, the lowest level in two years, and the fifth consecutive month the index has fallen below 50. Poor factory activity is one indicator that the overall health of China's economy may also be suffering. In a bid to support growth, policymakers have already cut interest rates, and reduced the amount of cash banks are required to keep in reserve. Some infrastructure projects have been accelerated. Economists at UBS said the government figures -- which showed a slowdown in new orders and output -- suggest that "the real economy, though stabilizing at a low level, is still struggling to turn around." The official government manufacturing gauge is heavily weighted toward large enterprises, while the Caixin survey taps a smaller sample size and places greater emphasis on smaller firms. The results of both surveys were weaker than analysts had expected for July. The benchmark Shanghai Composite dropped 2% in early trading, before recovering to end the day with a 1.1% decline. 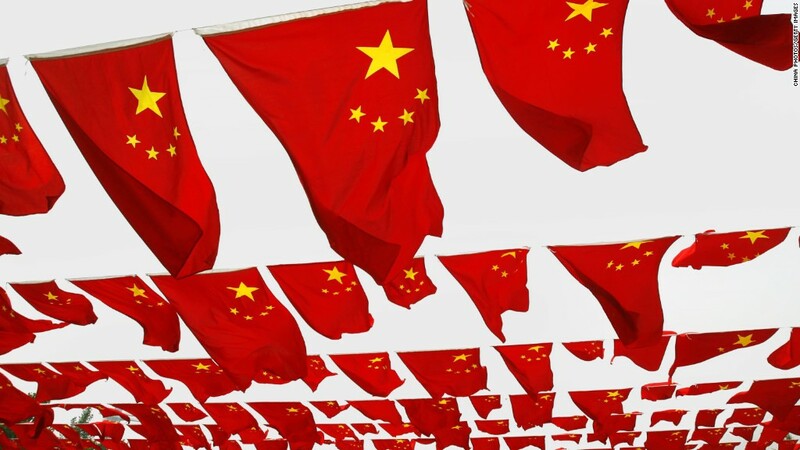 Beijing has set a 7% economic growth target for the year, and economists say the government is likely to roll out more stimulus measures in the coming months to help meet the benchmark. China's stock markets have been extremely volatile in recent weeks -- but the impact on the real economy should be limited. Chinese have relatively little money invested in the stock market. Instead, most people keep their wealth in cash, deposits and property. Economists say that stocks make up only 15% - 20% of household assets, and that should help keep spending money in the pockets of consumers. "There is going to be some damage, but the Chinese stock market is not as big or important as the U.S. stock markets is for the U.S. economy," Frederic Neumann of HSBC told CNN in July. "It's not that every Chinese has a stock account."